The St. Petersburg City Council laid out a path for the Tampa Bay Rays to leave Tropicana Field in 2020 for upwards of $33 million, but it’s not clear whether team owners will take the proposal seriously. In a 5-to-3 vote, a Rays lease buyout plan from Council member Jim Kennedy was approved. The plan would set up a structure for how much the Rays would pay under different scenarios, including up to $4 million for each year remaining in the Tropicana Field lease and different development fees (nothing for a new St. Pete ballpark, $2.5 million for a new ballpark elsewhere in Pinellas County and $5 million for a Hillsborough County ballpark) depending on the ballpark location. In addition, the team would pay toward demolition of Tropicana Field lease. 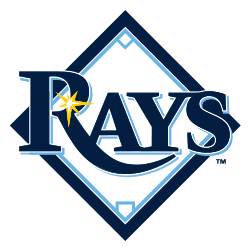 Kriseman told the council he would take the proposal to the Rays, but warned that the team has said it would not pay any more money. “Typically, as time passes deals don’t get better,” Kriseman said. The mayor said making proposals is “the easy part,” and that it took a year for him to reach his previous agreement with the Rays.